A New Hampshire man is appealing a life sentence in relation to a 2014 Saco break-in and shooting, saying evidence used in court should have been withheld. 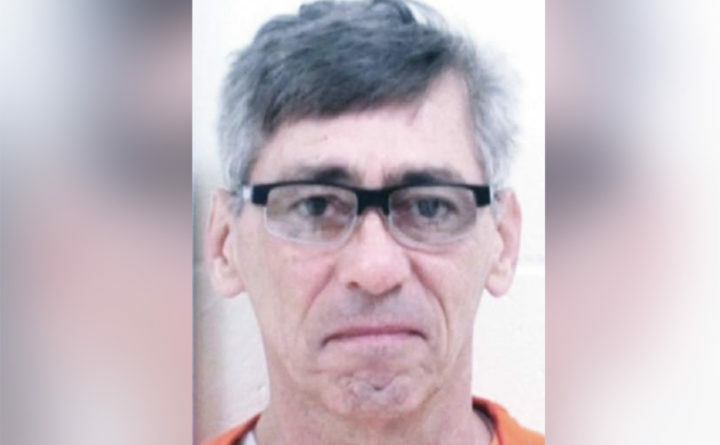 Gregory Owens, 61, is serving a life sentence in a federal penitentiary in West Virginia. He was found guilty at U.S. District Court in Portland in February 2017, on federal charges of interstate domestic violence and discharging a firearm. He was sentenced in July of that year. Owens left his Londonderry, New Hampshire, home in the early hours of Dec. 18, 2014, and drove to the Saco home of Steven and Carol Chabot, where his wife, Rachel, who was ill, had been visiting and seeking respite, according to prosecutors. Owens, disguised as an intruder, broke into the Chabot’s home and shot Steven Chabot and Rachel Owens. Carol Chabot hid in a locked room and avoided injury. Both Steven Chabot and Rachel Owens survived the attack. According to testimony from federal prosecutors, Owens intended to kill his wife of 35 years so he could be free to have a relationship with his girlfriend in Wisconsin, who had recently found out he had lied about being in the process of getting a divorce. Shortly after he was sentenced in 2017, Owens, through his attorney Sarah Churchill, began the process of filing an appeal at the United States Court of Appeals in the First Circuit in Boston. Churchill filed a brief on Monday in the First Circuit court detailing why the court should appeal the case. Churchill stated that Owens was honorably discharged after a lengthy military career and had no criminal history or history of arrest prior to the 2017 conviction. She said given Owens age, even if he served just the minimal mandatory sentence of 10 years for discharging a firearm he would be elderly when released from prison and therefore would pose no threat to society. “All of these factors indicate that the Court abused its discretion in sentencing Mr. Owens to life in prison,” wrote Churchill. Churchill stated that the U.S. District Court in Portland erred by denying Owens’ requests to suppress evidence. Police officers under instruction to not make their presence known to Owens, went to his neighborhood at 5:20 a.m. on. Dec. 18, 2014. An officer placed their hand on the hood of Owen’s car and felt that it was warm. She said the search of the hood of Owen’s car while it was parked in his driveway constituted entrance by law enforcement onto Owens’ property in violation of the Fourth Amendment, and when the police entered his property without his permission in constituted a trespass. Churchill said there was no established connection to explain why evidence of the crimes would be found in items sought through warrants in the case. She said evidence collected as a result of the execution of such warrants should have been excluded from use at trial.